The international youth football tournament Riga Cup was initiated in January, 1999. and organized by Riga Cup Entertainment and JFK “Olimps”. Held in Olympic center and „Skonto” hall. Currently “Riga Cup” tournament is one of the largest children’s and youth football tournament held in winter in Europe. In 2019 Riga Cup celebrates its 20th birthday. It has become a tradition for football schools of such a big and famous clubs, as Tottenham H, B.C. Atalanta, Genoa C.F.C, Vitesse, Valerenga, Dynamo Kyiv, HJK, AIK, Hammarby IF, Twente, FS Chertanovo and many others. Only some children’s football tournaments can boast of such an elite membership, and we, as the organizers, are very proud with this fact. For 19 years we made a huge leap in our development. 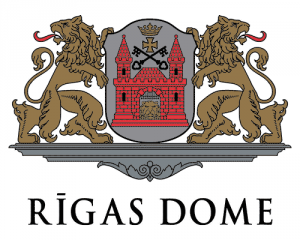 In 1999, to participate in the first tournament, in Riga came just four teams. 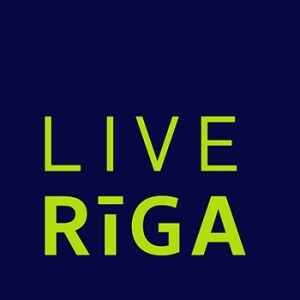 Nowadays more than 130 teams of different age groups from 17 European countries come to Riga. Each year about 2,500 young players fight for gold of “Riga Cup”. 1994 y. of b. 1.”Werder” Germany, 2.”ADO Den Haag” Holland, 3. JFC„Skonto” Latvia. 1995 y. of b. 1.”Werder” Germany, 2.JFC „Skonto” Latvia, 3.”Hammarby” Sweden. 1996 y. of b. 1.”RCD Espanyol” Spain, 2.”Werder” Germany, 3. JFC „Skonto” Latvia. 1997 y. of b. 1.”HJK” Finland, 2.”Liepājas Metalurgs” Latvia, 3. „FC HONKA” Finland. 1994 y. of b. 1.”Brommapoikarna” Sweden, 2. „Werder” Germany, 3. „Liepājas Metalurgs” Latvia. 1993 y. of b. 1.”FC Honka” Finland, 2.”Kapa” Finland, 3.”Hammarby” Sweden. 1995 y. of b. 1.”Lokomotiv” Russia, 2. JFC „Skonto” Latvia, 3.”Brommapoikarna” Sweden. 1992 y. of b. 1. „Krilja Sovetov” Russia, 2. „Lokomotiv” Russia, 3. „Shaktar” Ukrain. 1993 y. of b. 1.”Krilja Sovetov” Russia, 2. „Levadija” Estonia, 3.”Zenit” Russia. 1. „Smena” Russia, 2. JFC „Skonto” Latvia, 3. „Dinamo” Ukrain. 1.”Shaktar” Ukrain, 2. „Dinamo” Russia, 3. „Zenit” Russia. 1. JFC „Skonto” Latvia, 2. „Jaggenonia” Poland. 1. JFC „Skonto” Latvia, 2.”Dinamo” Ukrain. 1. JFC „Skonto” Latvia, 2. „Kaunas” Lithuania, 3. „Tammeka” Estonia. 1.”Dinamo” Ukrain, 2.”Dinamo” Russia, 3.”JFK Mažeikai” Lithuania.